Some 17 publishers from Tunisia, Morocco, Algeria, Syria, Egypt but also from France, Côte d’Ivoire and Argentina will met in Tunis from 12 to 14 May 2011 to discuss e-publishing in the Arab world. Further to the meetings organised in Ouagadougou in December 2010 in partnership with the Organisation Internationale de la Francophonie, the Alliance continues to debate on the opportunities of e-publishing for independent publishers and for bibliodiversity. Through the theoretical sessions and practical workshops, publishers had a chance tackle and explore e-publishing issues in the Arab world, particularly given the topicality and the role – sometimes crucial – of the Internet and the new media in the Arab revolutions. 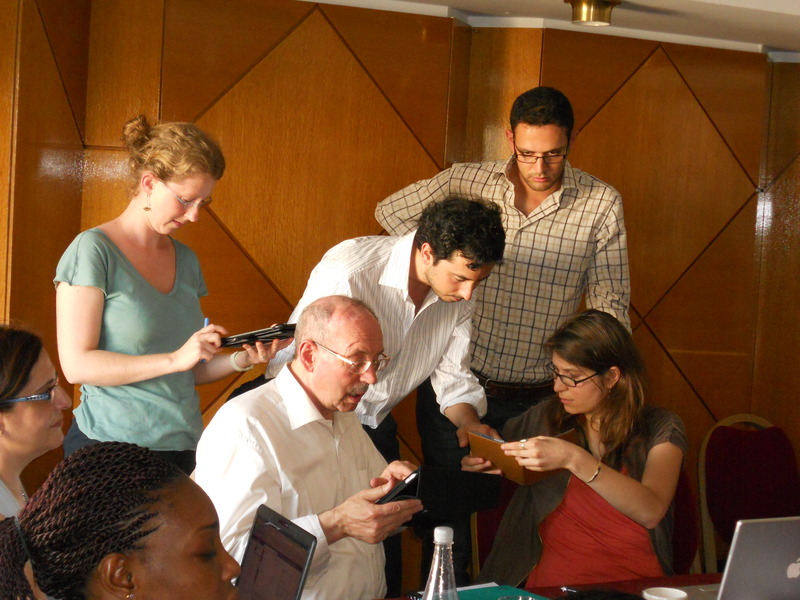 The study on e-publishing in developing countries, conducted by Octavio KULESZ and coordinated by the Alliance, enabled through the support of Prince Claus Fund, was presented on Thursday, 12 May 2011 at 4.00 pm at the Hotel Les Ambassadeurs (Tunis). Read the programme in French here.